Since this review was originally published, Windows 7 has been superseded by Windows 8/8.1 and subsequently Windows 10, which was available as a free upgrade for a year – although that offer has now expired. The first Service Pack for Windows 7 was unveiled on 22 February, 2011, and can be downloaded here. According to Microsoft, the update includes "previously released security, performance, and stability updates for Windows 7". It also controversially removed the BrowserChoice.eu feature that allowed other alternative browsers to be offered to customers. Also on the list were support for Advanced Vector Extensions (AVX), a 256-bit instruction set extension for processors, and "new improvements to features and services in Windows 7, such as improved reliability when connecting to HDMI audio devices, printing using the XPS Viewer, and restoring previous folders in Windows Explorer after restarting". Windows Management Framework 3.0 (December 2012): it delivered updated versions of Windows PowerShell, Windows Management Instrumentation (WMI) and Windows Remote Management (WinRM). Windows 7 SP1 Platform Update (February 2013): it updated Internet Explorer to v10 as well as rolled out a number of wholesale enhancements. Windows 7 Enterprise hotfix rollup (March 2013): A compendium of hotfix updates that focused on the business market. As for the second Service Pack for Windows 7, that was never released. However, in May 2016, Microsoft pushed out what is effectively a substitute for SP2, in the form of the 'SP1 convenience rollup'. Basically, this comprises of all the security and non-security updates released for Windows 7 since Service Pack 1 in one single package. And from October, instead of separate hotfixes, Microsoft is implementing a 'monthly rollup' patch that contains all of the latest updates – plus previous ones – rolled up into a single package. So November's rollup will include the fixes from October, and so on going forward. 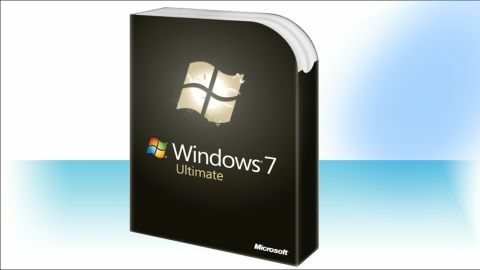 A complete list of downloads available for the 10 versions of Windows 7 can be found here. In terms of support, Microsoft ended mainstream support for Windows 7 in January 2015. Extended support (i.e. security updates) will end on 14 January, 2020. Even though mainstream support has ended, you can still buy a PC running Windows 7 (or at least downgrade rights to Windows 7). The OS is still surprisingly popular – it remains the number one desktop operating system in the world, used on almost half of all PCs out there: 47% to be precise, with Windows 10 on 23% in the latest stats we've seen. If you've come to this review because you're thinking of buying a new PC with Windows 7 pre-installed, you'll have to hurry. Microsoft has already stopped supplying most versions of Windows 7 to retailers. However, the end-of-sales date for PCs with Windows 7 Professional pre-installed hasn't quite come around yet – this deadline is set for October 31, so the end of next month. You may have also seen that earlier this year, Microsoft announced that systems running Skylake processors with Windows 7/8.1 wouldn't be supported beyond delivering critical security patches after July 2017. However, the deadline for cessation of full support on these PCs was subsequently extended to July 2018 following complaints, and then Microsoft fully relented last month, announcing that Skylake will be supported through to the end-of-life date for Windows 7, namely January 2020. Do, however, note that Kaby Lake CPUs (and indeed other future-gen processors such as AMD's Zen) will only be supported by Windows 10 and not Windows 7 (or Windows 8.1). And as a final consideration, it's worth mulling over the fact that Windows 7 does still offer some advantages over Windows 10. For those who like Media Center, obviously that's still there in Windows 7, but not in Microsoft's latest desktop OS. With Windows 10, you also lose the ability to defer the installation of updates unless you're running Windows 10 Pro or Enterprise, and that lack of control has definitely irked some users. Some other features have been stripped away like XP mode for example, and there has been a considerable amount of complaining when it comes to Windows 10's telemetry, and the amount of data the OS sends back to Microsoft's servers, as well as the lack of transparency on the privacy front in general. Of course, there are plenty of good things about Windows 10, all we're saying is that there are certainly reasons why some folks are still going with Windows 7 – legacy apps and driver compatibility worries being another couple of reasons to stick with an older operating system.